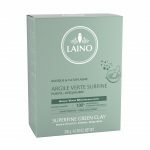 Laino has selected Super-Fine Green Montmorillonite Clay, used since ancient times to absorb excess sebum, purify and rebalance the skin thanks to its wealth of trace elements and minerals. Are you a fan of home-made masks? 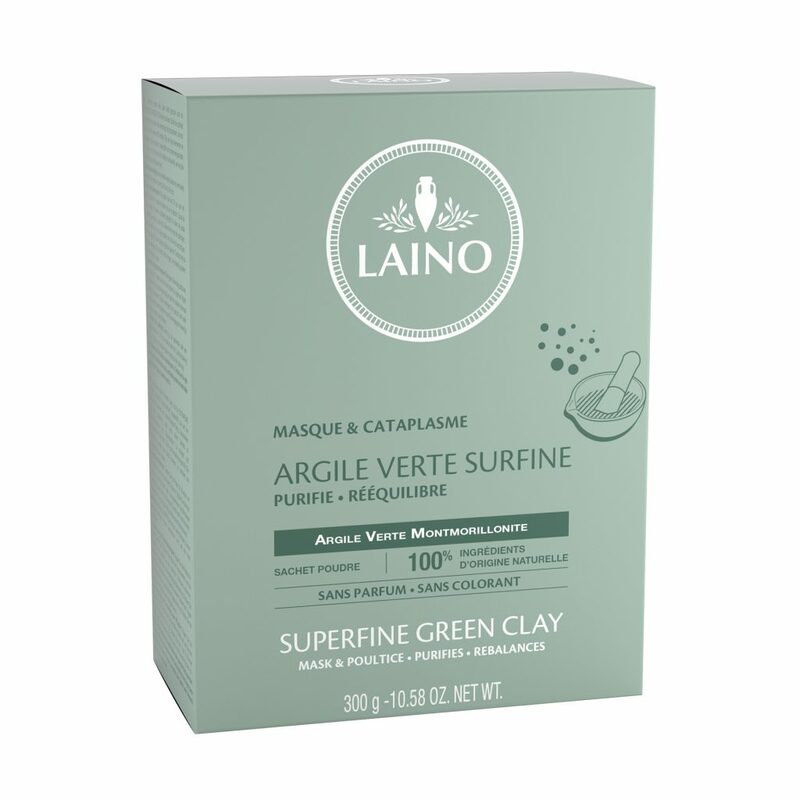 Powdered Green Clay is perfect for skins in need of purifying. The colour of the clay may change slightly according to where it was mined. Precautions: If it is your first time using the product, it is recommended that you test a small area on your arm and wait 24 hours. 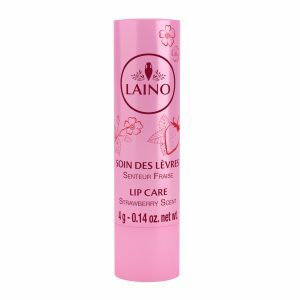 In case of redness or a feeling of discomfort during application, rinse immediately. 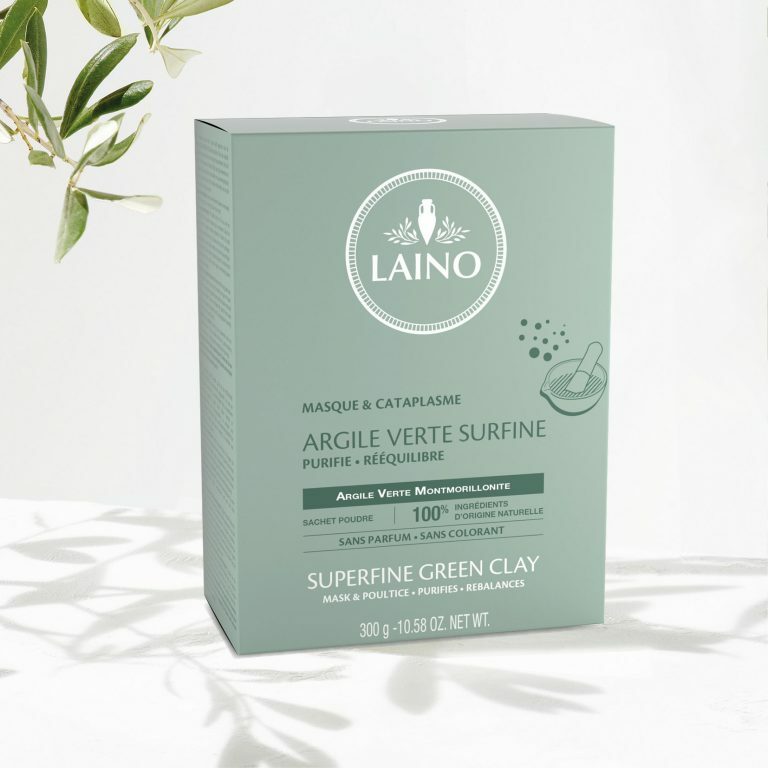 The green clay must not dry out – moisten it regularly with cotton wool soaked in water.Instructions for use: mix several spoonfuls of powder in a little water until you obtain a paste that can be applied to the skin. 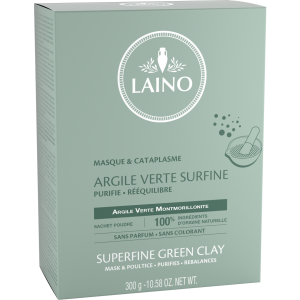 For use as a beauty mask: Apply a thick layer of clay to the face avoiding the eye and lip area. Leave for a maximum of five minutes, moistening regularly. Rinse thoroughly with clean water. Then apply your normal day cream. Do not exceed the specified application time. For use as a poultice or bandage: Apply a 1 to 2 cm layer to the affected area and cover with fabric. Leave for 1 to 2 hours and remove before the clay dries out.